Peachtree Publishing Company, 9781561453153, 112pp. When haunting memories and the threat of violence push Charlie to the brink of despair, a strange new friend helps her find the courage to face bullying girls and free herself from her inner demons. Abandoned by her mother at Victoria Station in London when she is only four, Charlotte "Charlie" Collins is sent to live with her father in Dublin. Ten years later, Charlie has been living with her somewhat distracted father, trying to understand his silence about her mother's desertion. At school, Charlie is mercilessly bullied by her cruel classmates after they find out that she was the baby left by an unstable mother. 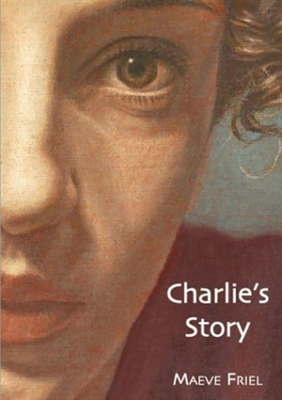 At fourteen years old, Charlie struggles to come to come to terms with all her relationships, and she almost gives up on life. This compelling story of desperation and hope, and of betrayal and second chances, depicts a tough young heroine who commands readers' admiration and respect. Intense and deeply moving, Maeve Friel's novel is a harrowing account of one girl's struggle to overcome her fears and turn her life around.